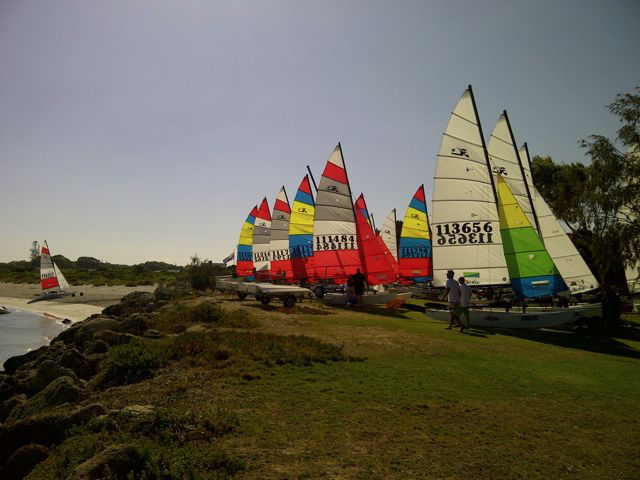 Jervoise Bay Sailing Club, at Woodman Point in Western Australia has been selected as the venue for the 2019-20 Australian Hobie Nationals. The north facing beach venue is one of the best locations for the Hobie class. The club has a large grassed area for rigging as well as a long sandy beach, protected from the sea breezes. The Notice of Race is available now so you can book your holidays and accomodation. The full event website is coming soon.